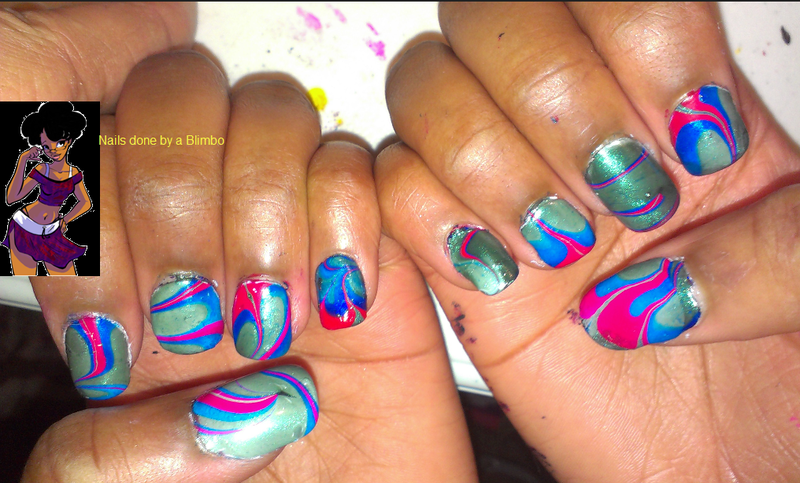 Oh water marbling, you are such a fickle mistress. When I first tried it it was the easiest thing to do now I have problems left and right. The polish I always seem to choose never wants to spread out. I get two drops in and after that it just stops spreading. 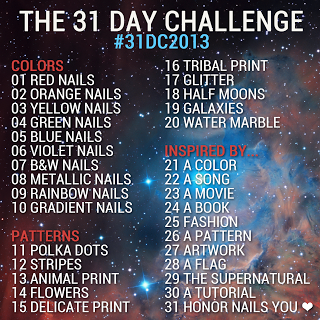 I don;t know how every can tell they picked a good water marbling color, do you literly try every color? Believe it or not the colors I used were black and pink with a white base.For some reason it looks like I used gray pink and purple. I would love to try a more planned out design, but like I said I have a issue with my polish so can’t get it to spread without drying out for me even to attempt anything. 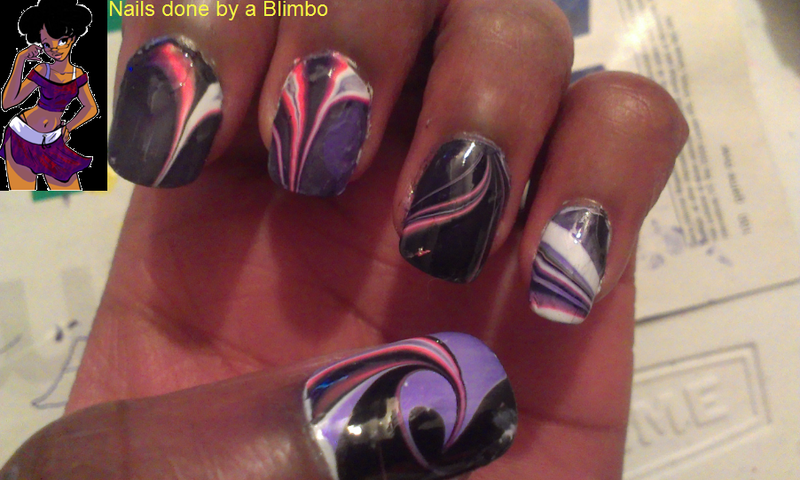 So I decided to give water marbling another shot. I read up some more on it and learned some more techniques on how to do it successfully. 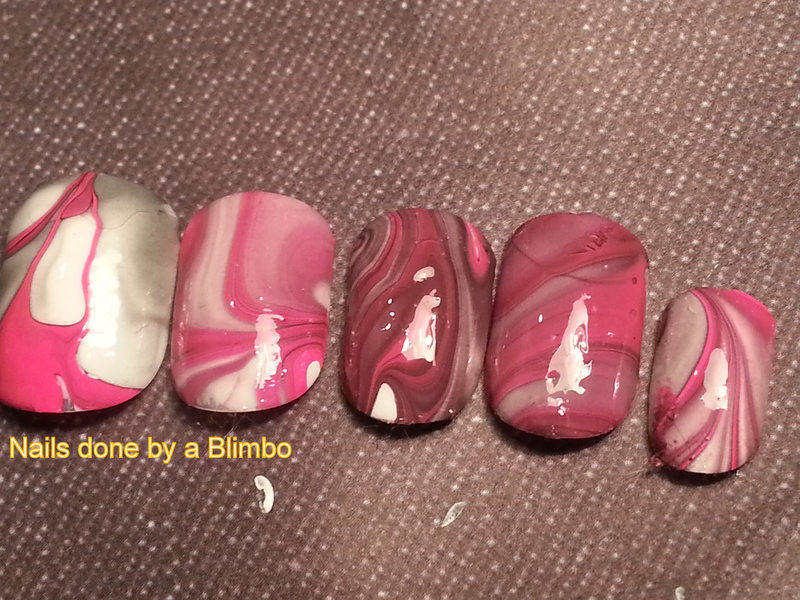 First nail ( thumb) came out beautifully love the swirl design, the rest of the nails not so hot. I’m just glad they all came out the same color hue, sometimes I will get a dark finger and the rest all come out different hues even though I used the same nail polish colors. I don’t even want to photograph my other hand as that is exactly what happen. No patter to colors chosen I told my daughter to pick four colors and this is what she chose.